The Korea Times reports that Apple has fired the head of its Korean unit, Dominique Oh, with sources indicating that the move was related to sluggish sales in the country. "Apple terminated the contract with Oh last week," Apple spokesman Steve Park said by telephone, late Tuesday. "We acknowledge that there are many speculations surrounding Oh's contract termination. But we can't do more, it's just a simple fact," Park said. 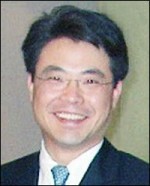 Oh joined Apple just 17 months ago, coming from LG where he oversaw the company's Android and Windows Phone 7 efforts. Korea is an interesting market for Apple given its rivalry with Seoul-based Samsung, and Oh's removal is said to be a curious one given than the iPhone 5 launch in the country is said to be just days or weeks away. I think a lot of people are underestimating how much oriental countries value 'pride' and 'honour'. Samsung is the General Motors of South Korea. When Apple goes around denigrating the name of the national conglomerate, it is obvious that the Koreans aren't going to like it one iota. Mr. Oh is just a victim of circumstance. Samsung isn't like GM. Samsung is more like the Royal Family of Russia. Samsung controls EVERYTHING in Korea, especially, politicians, the court, media, press(news papers), and you name it. Samsung owner's family (found and president of Samsung group) is invincible. Have you watched American TV show called, Nikita? In the show, there's a fictional corporation of Russia that controls everything is Russia, and even having some of American politicians in their hands. Samsung is very like it. Samsung is not a small Asian company. Samsung electronics that make Galaxy handsets is just a small part of giant Samsung Group. The Samsung Group is 10x bigger than Apple, MS, and Google. I'm not kidding. Did you know Samsung builds missile, bombs, and tanks? Yes. Samsung has a government military contraction. They build weapons, ships, and possess oil company. As a Korean, I feel it's silly when foreign people (especially Americans..) think Apple is to blame and Samsung is a victim. They have no idea what Samsung is. Samsung is not a company, They are government. They rule Korea. ^This guy isn't joking. Just check out Samsung's wikipedia page. Don't be ignorant. I love reading these clueless comments from people who view Asia as being populated entirely by Bond villains. Blue light special on tin foil, aisle 3. You're showing your total ignorance of Korean culture. This is one of the few times on MR when the circumstance isn't exaggerated in the slightest. I know the vice-chairman of Hyundai, Chung Eui-sun, personally. Hyundai is smaller than Samsung, and even these people are practically their own nation-state. Samsung Electronics is but one facet of the conglomerate- there is Samsung Defense (a huge arms maker), Samsung Construction, Samsung Heavy Industries (one of the world's largest shipbulders, second only to Hyundai) - it would be the 32nd biggest economy in the world, as a country. Why not tell them that Browett is superb and the best thing that's happened to Apple. Then Slamdung might buy him! Maybe he got a better offer from Samsung? Well, typically when someone gets a better job offer from a competing company, they quit. This man was terminated, so maybe your implication is correct, that Samsung attempted to bribe him while he was under the employ of their main competitor. Those scumbags!